Children raced around the lawn at the Racine Library on Saturday picking up Easter Eggs. RACINE — Hundreds of eggs, dozens of children and some great prizes. Children from ages 1-12 spent a little time on Saturday on the hunt for Easter eggs as part of the annual Easter Egg Hunt sponsored by Friends of the Library. The event takes place each year at the Racine Branch of the Meigs County District Public Library. Saturday was also the annual Easter Egg Hunt hosted by the Syracuse Volunteer Fire Department. According to the department’s Facebook page, a total of 51 bicycles were given out to children as part of the event. Missed the hunts this weekend? There are many more set for next weekend. Saturday, April 20 will be egg hunts at Rutland Fireman’s Park at 11 a.m.; at Belleville Locks and Dam at 11 a.m., sponsored by the Olive Twp. Volunteer Fire Department; at the Tuppers Plains ball fields at noon (signups 10 a.m.-noon), sponsored by the Tuppers Plains Volunteer Fire Department; and at the Columbia Township Volunteer Fire Department at 1 p.m.
On Easter Sunday will be the annual Middleport Easter Egg Hunt which is hosted by the Middleport Volunteer Fire Department. This year, the Middleport Business Association is teaming up with the fire department for the hunt, which will be held at 1 p.m. at the Middleport Football Field. 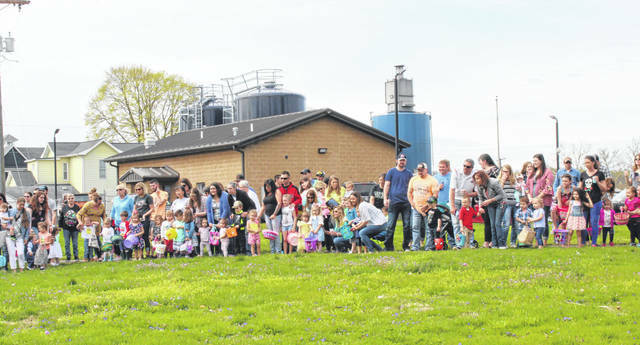 https://www.mydailysentinel.com/wp-content/uploads/sites/14/2019/04/web1_4.16-Egg-Hunt-1_ne201941417047634.jpgDozens of children were lined up to take part in the Easter Egg Hunt on Saturday morning at the Racine Library. 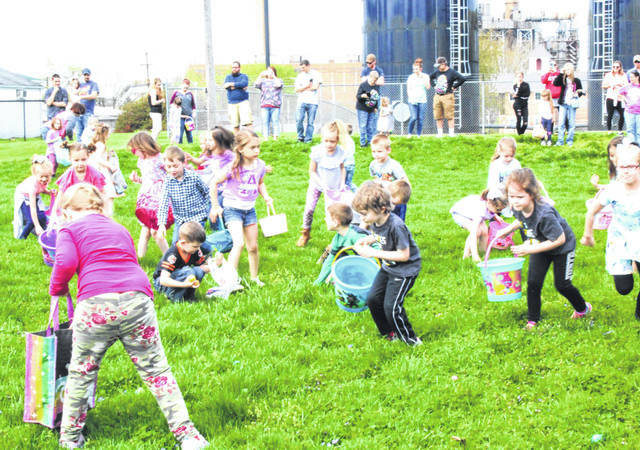 https://www.mydailysentinel.com/wp-content/uploads/sites/14/2019/04/web1_4.16-Egg-Hunt-2_ne201941417049803.jpgChildren raced around the lawn at the Racine Library on Saturday picking up Easter Eggs.